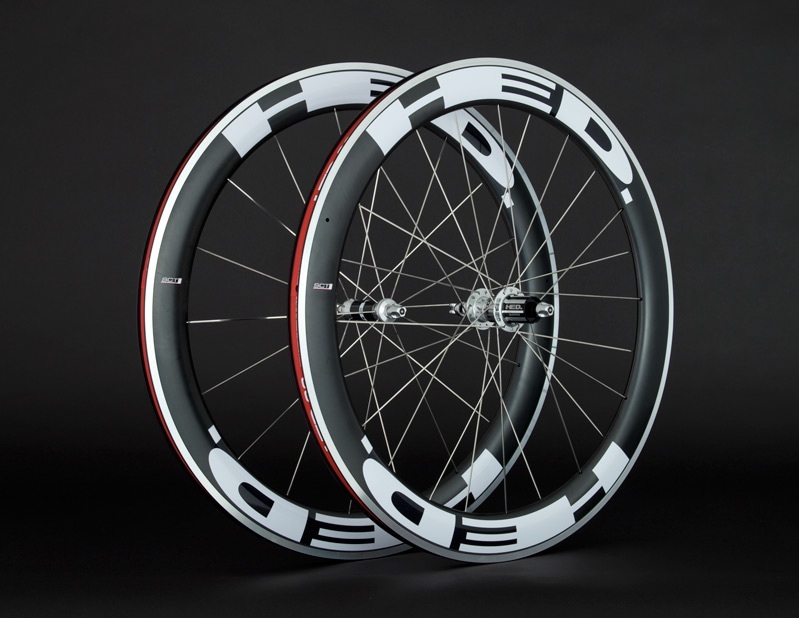 Ever wanted to try racing with disc wheels? Or even a trispoke? FlyWheelsHire is now offering a wheel rental service where you can swop and change wheels to suit your race day needs. 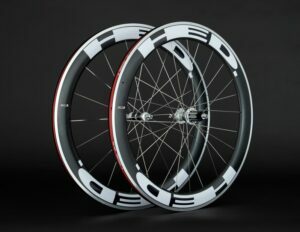 You can try out Trispoke combo’s, a disc with a semi deep front wheel, or to just a set of deep-section rims. They also offer 4, 10 and 17 day rentals. So it’s perfect for athletes travelling to international races. Also they offer the option to rent test wheels before you commit to purchasing a set of your own. JET rims have an aluminium brake surface so you don’t need to change your brake pads from your training to racing wheels. The C2 alloyed rims on FR wheels are lighter, stronger, and stiffer than non alloy models. Jets are tuned with HED’s proprietary SCT (Stability Control Technology) – adding improved crosswind handling to their stellar ride and cornering characteristics. The rims are now 25mm wide which provides a more stable platform for tires of any size. This versatility in tire size and the ability to run lower pressures makes it a great choice for cobbles, gravel, and dirt, while a larger contact patch increases rolling speed across every surface, and silky smooth on the pavement. The JET rims are almost just as light as the Carbon rimmed Stinger wheels. Wheels will come with a set of race tires already fitted.